I inherited a house in San Antonio, TX. Now what? 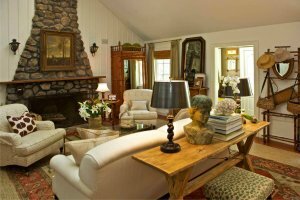 Preparing to sell an inherited house can be quite an emotional procedure. In some situations, inheriting a property brings stress for some individuals who already own a home. To them a newly inherited house comes with a set of financial liabilities. For instance property taxes, expensive insurance in case the house will not be occupied, not forgetting costs in terms of repairs. In both situations one must be ready for a cost to reach out potential buyers. It’s a common question that many are faced with when they abruptly inherit a house, with no understanding of the circumstance. In this very article let us dig more deeper on how we can buy your house in cash at San Antonio Texas, how we can do an all cash offer, how we can close fast on your timeline, how fair our offers are and how you can manage to sell the house fast to us. How we can buy your house in cash in San Antonio TX? 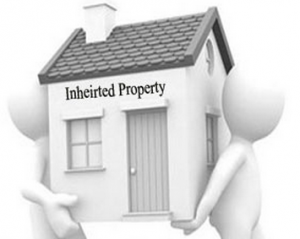 Before buying your very house, we need to know the details on how you did inherit it. This will guide you on the procedure of selling a property that is inherited. It’s good to know that someone can inherit a house by deed, trust or will. to sell the house before 4 to 6 months after filling for probate. 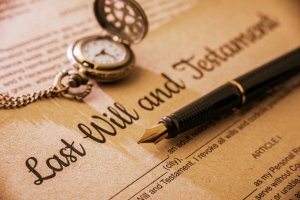 When you do inherit a house through deed, the process does not entail probate activities. However when it comes to title matters, it is quite easy when selling the house. A house can be inherited by trust when a given trust agreement indicates that someone is entitled to a given house. In a situation where a person dies, leaving behind a spouse and children that are minors, Texas homestead based rules calls for the probate in the state to carry out some title clearance. Getting rid of your house at times can be quite expensive and complex. At times agents in Real estate will ask for thousands of dollars. We take the stress out of selling your property. If your very property meets the required standards,we guarantee to buy your house fast and in cash. You can submit your information to the form provided and get a fair offer. Don’t hesitate to get in touch with us through our phone today. We will be humbled to assist you go through the probate process and purchase your house. We will be pleased to propose a reasonable cash offer and be there when you promise to be ready. Our payment is in cash and we also eliminate any form of hassles when it comes to bank mortgages. Our transactions are free from real estate commissions. Remember selling inherited house with inclusion of real estate commission can cost someone thousands of dollars at the end. You will not incur broker commissions and real estate agent cost when your choose to engage our services as you sell your very house; this is in addition with buying your house quickly. We do assure quick closings, by avoiding conventional real estate dealings which can take long period. Some potential buyers may require to take time to dispose their properties, before they are in a position to buy yours. Additional issues can arise, bringing more complications with property assessment and bank loan approvals. Our offers are very fair not forgetting that a good number of home owners in San Antonio have positive memories towards our previous services. They appreciate the speed at which their houses were sold and the treatment afterwards.This is more so that some could not leave immediately and our company understood their situations by giving them a chance to stay on a little bit.Irrespective of your reasons, we possess the experience and required resources in real estate to solve your problems. Our offers are very fair. We do buy homes in any of their current forms and conditions. This means no repairs and renovations are required.So, avoid the hassle of pouring money on your property for you to sell it.What we will just do is to make an offer equivalent to the current condition of your house. But it is good to know that, properties that requires a lot of cleaning and repairs fetch fewer market prices compared to those that are renovated before offered for sale. Our ultimate objective is to bring forth an offer which will meet you at the point your very need. In addition we will labor with you in order to come up with a beneficial solution. When you make decision to sell your inherited house to us, we’ll see to it that the process is reasonably fast. First make a step of informing the executor in order they can appeal in court, so as to get permission to sell. In case a disagreement arise, it’s advisable to involve your lawyer. For those who are in need of carrying out different repairs before selling their homes, it’s always advisable to engage the services of an inspector to sample out potential issues and advise on possible repairs. We do purchase all types of houses, and it’s our duty to always offer you a good deal, to ensure you get value for your inherited property. In conclusion, we help to sell a house in San Antonio, Texas fast, and it’s our promise that we will provide a good deal. Lastly, we provide closing in fewer days and we welcome anyone willing to sell their house. Call us at (210) 547-7505. 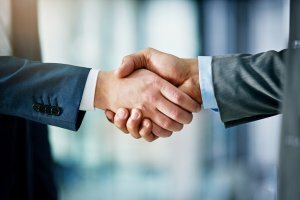 Lets talk about how we can help you.